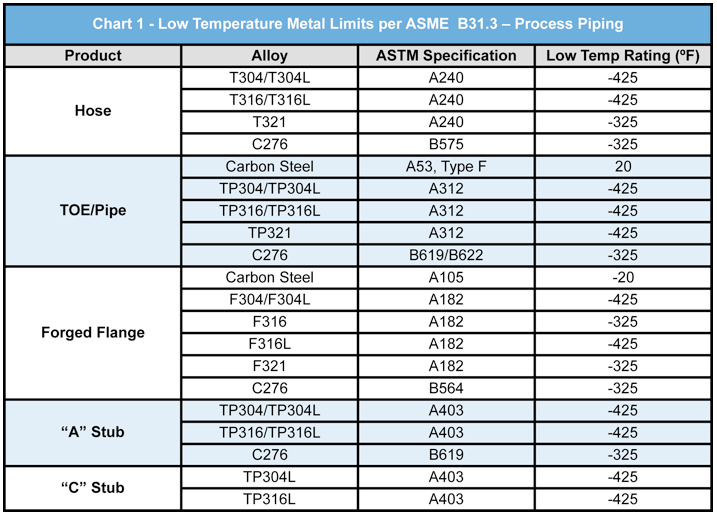 Example: ASTM A53 Type F carbon steel, a common pipe material, is rated for service only down to 20°F. Fortunately, the yield2 and tensile3 strengths of austenitic4 stainless steels, nickel alloys such as 276, and many copper based alloys such as bronze, significantly increase as the temperature decreases. The material ductility5 decreases, but not sufficiently to preclude their use for most applications. The strength of the hose increases. The resistance of the hose to fatigue fracture initiation increases. Fatigue cracks progress through the hose wall at reduced rates from those at ambient temperature. “Cryogenic” does not define a temperature. The term is actually rather loose and can vary substantially depending on the source. Definitions generally include -237°F and colder. There is a large gap between the temperature of liquid nitrogen, -320°F, and that of the next lower-temperature liquefied gas of importance, liquid hydrogen, which boils at -423° Liquid helium, boiling at -452’F, is the only other cryogen that fills this low-temperature range. “Absolute Zero” is –459.67° It a theoretical temperature and cannot actually be achieved. Determine the specific ASTM standard for the material from which the component is manufactured. Refer to ASME 31.3 Table A-1 for the material and specification. 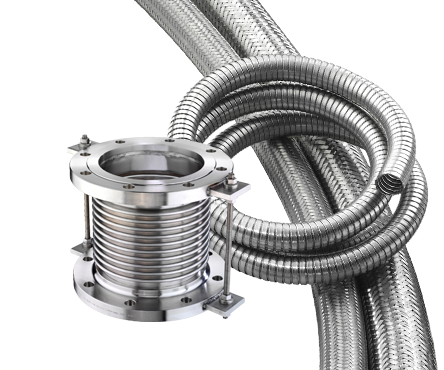 A popular European standard specifies the following low temperature limits for stainless steel hose, braid, and ferrules6. 2 Yield Strength is the point at which a stressed (deformed) metal will not return to its original shape. 3 Tensile Strength is the maximum amount of pulling stress a metal can accommodate before failure. 4 Austenitic Stainless Steels include 300 series stainless steels (e.g. 304, 316…). 5 Ductility is the ability to form or change the shape of metal. NOTE: The data provided is the most current available, and may change without notice. This information is for reference only; contact Hose Master for assistance regarding specific low temperature limits.